Blockchain, the distributed ledger technology, that secures the transaction of cryptocurrencies like bitcoin over the Internet between two end-users is deemed as a savior against the cyber-threats that are looming high on the forefront of smart IoT-based concepts from smart home to smart cars to smart agriculture and beyond. Each user or his/her wallet serves as a node in the network connected by the Internet and a transaction between the users materializes when the majority of the nodes approves a transaction. So, unlike banks or financial institutions here public have the control of the transaction. Well, the answer lies in its architecture. Each wallet is governed by two keys: a private key and a public key. When a user initiates a transaction, he or she broadcasts an encrypted message in the network using his/her private key. The message propagates and reaches out to the network members who can decrypt it using their public key. The encrypted message is, in fact, a digital signature - a string of texts that can be arranged with a probability of 2 raised to the power of 160, which comes out as 1461501637330902918203684832716283019655932542976. Thus, it’s almost difficult for anyone to trace the user’s wallet or tamper the data stored over there. The signature passes from node to node and any disagreement regarding the order of transaction helps in checking any fraud or data breaching attempt. With IoT converting more and more offline objects into online assets, homes, transports, manufacturing units, agriculture fields, aquaculture bodies have become more vulnerable to e-Threats. Today, not just our smartphone and desktop but everything needs protection, and the businesses that are on the cusp of adopting and deploying technologies need more strategic protection. 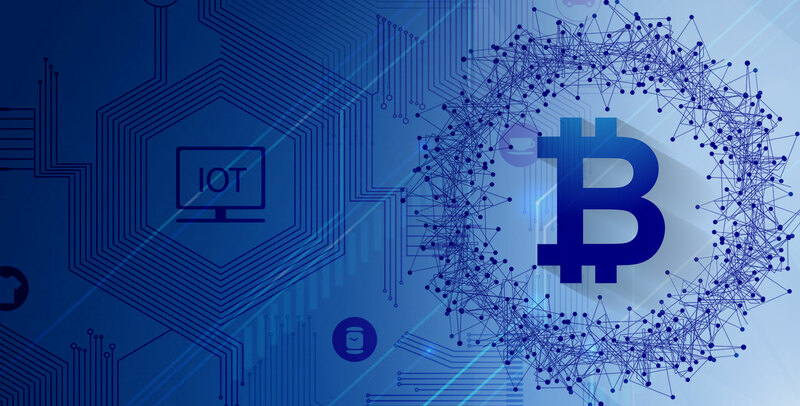 It’s not just we, but technology advisory and consulting firms to the likes of Gartner, are quite optimistic about the prospects of using blockchain with the Internet of Things. The nodes described in the blockchain are analogous to the objects that are connected in the IoT ecosystem. Blockchain-based IoT will make our connected home, connected cars and everything based on the similar concept more reliable and secure. Leveraging AI, businesses can make the IoT more extensive in its approach to data analysis and dig out insights. BI Intelligence is helpful in reading the market trend and understanding the consumer’s requirements better. Large Scale Data Management: Artificial intelligence and ML require storage and processing of the colossal amount of information or data, so your technology partner must have a hands-on experience in data aggregation from a variety of sources including structured and unstructured data, data ingestion, data cleansing and normalization, and data enrichment. Domain-Specific Knowledge: To derive the warranted performance or result from the investment, domain-specific knowledge and data intelligence must be applied to the models. Development Complexity: Today enterprises need high performance compute infrastructure to cope with the growing business needs and customer's expectation. Hence, the IoT app development company that you partner with must have the capability to deal with the complexity of the business operation and data processing.